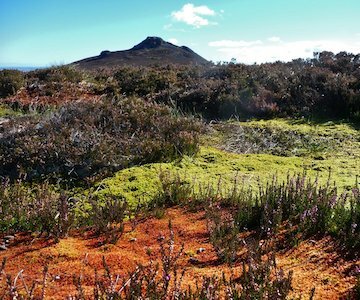 The flora and fauna of Bennachie has played a significant role throughout its history. By studying the ever-changing landscape answers to many questions can be discovered, such as what reasons created change and whether natural or through human influence. In 2013 a peat core sample of nearly 5 metres was extracted from Moss Grieve (the plateau between Mither Tap and Oxen Craig). From the pollen preserved in this sample fluctuations of the vegetation were revealed providing an illustration of the shifting landscape of Bennachie since the Mesolithic period some 7,000 years ago. Keeping up to date records of the current flora and fauna of Bennachie continues to provide statistics for generations in the future. James MacKay's floral survey of the hill undertaken in the 1980s has now been digitised and is available for perusal at the Garioch Heritage Centre. This survey has also formed the basis of a fresh record which is continually being added to. 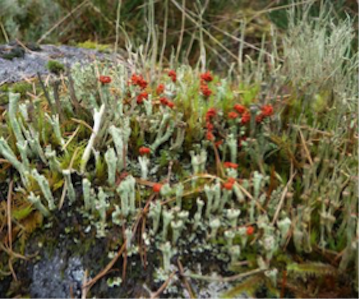 Individual records for the different species of fauna found on Bennachie have also been created.